We have done this trip a dozen times before today :):). Crazy? Yes. Normal is boring. 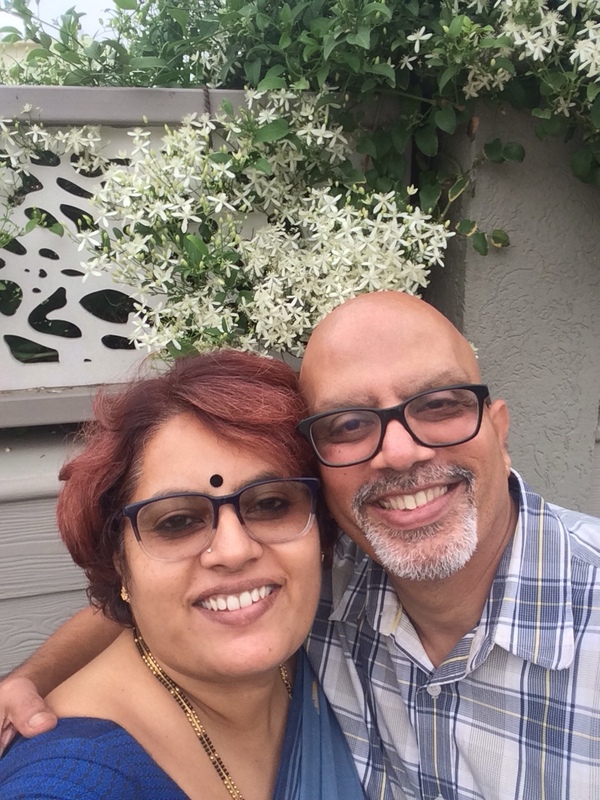 Krishnan and I love to drive and long distance trips are very dear to us. Today we are on our way to Hyderabad. Our 12th trip on this route was on June 8th last year … the day my mother-in-law passed away. I am writing this blog from the same Hotel Deepali that we stayed in at that time. Only then, we were returning to Gurgaon from Hyderabad. We started by 5.40 am today and reached Hotel Deepali at Sagar, M.P by 4.30 pm. There were two breaks totalling upto 90 minutes for breakfast and for Mukesh Yadav’s tea at Babina. 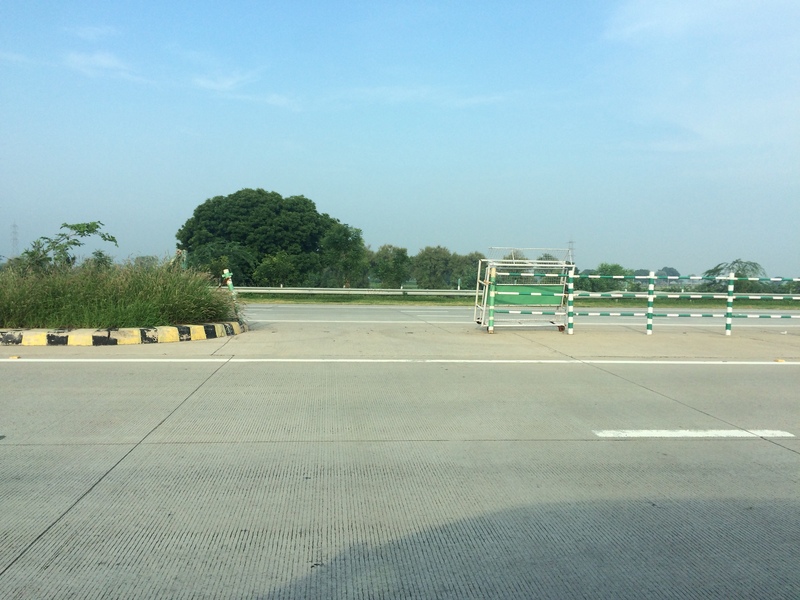 There is both good and bad news for folks driving on the Yamuna Expressway – the good news is, that they have removed the two speed breakers just at the start of the expressway. The bad news is every few kilometres they now have created a police barricade kind of thing, using which a car or two wheeler can take a turn to the other side. So expect vehicles to slowly broaden this and it will be utter chaos !! Wonder why they are tampering with a world class toll way. Sad. 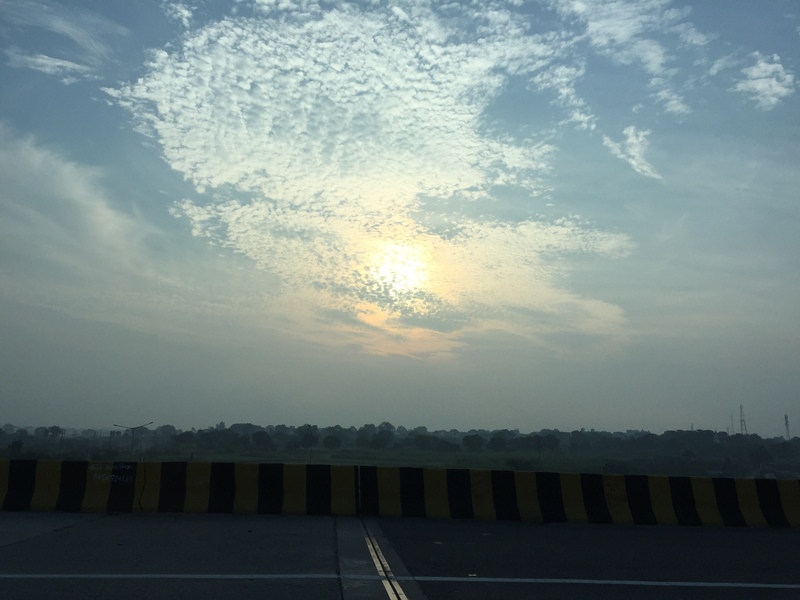 We cruised through the Yamuna Expressway in about two hours and then got down at the end to turn towards the Taj Gateway and then onto the Rani Jhansi statue where we take the left onto the Gwalior bypass. The traffic is unruly for a few kilometres but once you are on the Gwalior bypass, life is good. The traffic was almost non-existent in Morena today courtesy GST because earlier there was an RTO there and trucks would be lined up for kilometres. The Dholpur bridge is holding up too. The distance from Gwalior to Jhansi is 126 Kms. 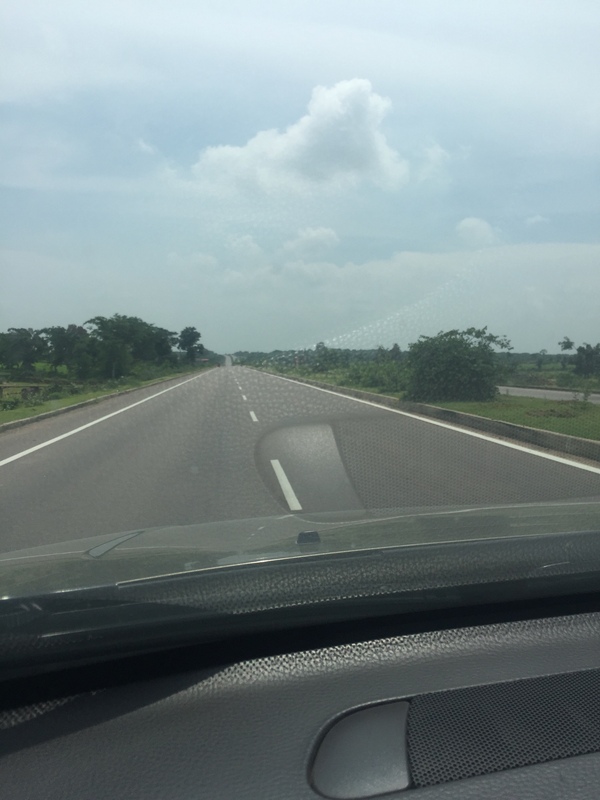 The roads are fine till you reach Dabra which is 71 Kms away …. from there the roads are terrible till you take a turn at Jhansi towards Shivpuri/Lalitpur. 32 Kms from Dabra, don’t miss the pretty Datia fort and palace. They have built a medical college there recently on the main road. Its an impressive structure. From Gurgaon to Jhansi its about 469 Kms. The point where you need to take a right turn towards Shivpuri and Lalitpur is indicated by 2 huge unfinished columns. There are no signboards anywhere. 9 Kms from the right turn (around 478 Kms) we take a left turn towards Babina and that is again an awesome toll way all the way to Lalitpur and Sagar. 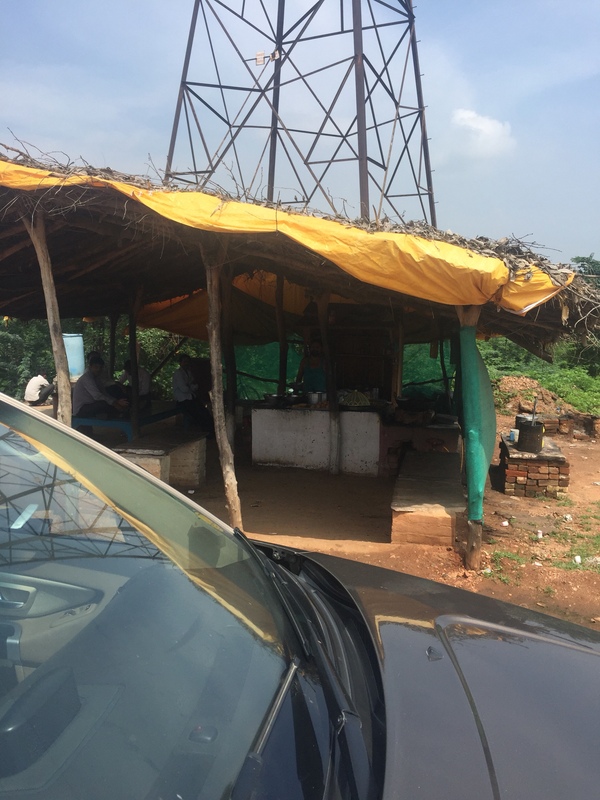 From where we take the left turn, the Babina toll plaza and our friends Mukesh Yadav and Tupkan Tiwari’s tea shop is 24 Kms. We stopped there today and were served awesome freshly made pakodas and great tea. Could meet only Tiwari Bhaiya as Mukesh bhaiya is unwell and is not at the shop. 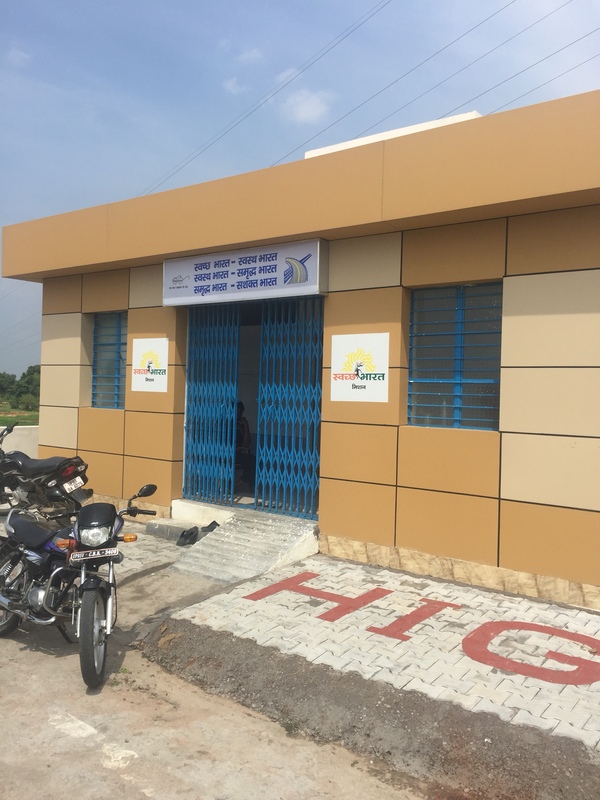 For all those doubting if Swachh Bharat is working – almost every toll plaza now has a public toilet and shower. A new one has sprung up at the Babina toll plaza too. The brand new public toilet and shower at the Babina toll plaza. Its clean and has been in use for the past four months. Mukesh’s house is nearby in a tiny village with no electricity but Tupkan today confirmed that the electricity lines have been extended and the village will be electrified soon…. something that hasn’t happened in nearly 25 years. 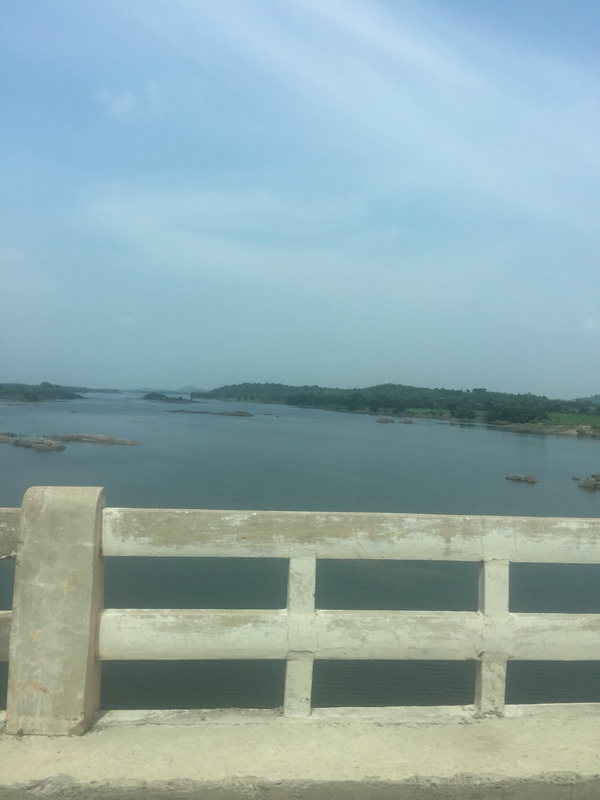 The river just after the Babina toll plaza. Mostly its without water, but today its flowing well..
We stopped at our usual fuel station, BPCL Lalitpur which is 582 Kms from home and about 15 kms after the Lalitpur exit. We refuelled and drove all the way to Hotel Deepali in Sagar. Total distance covered today is 690 kms. Hotel Deepali is a beautiful property and is huge. We took a walk around after eating some food. 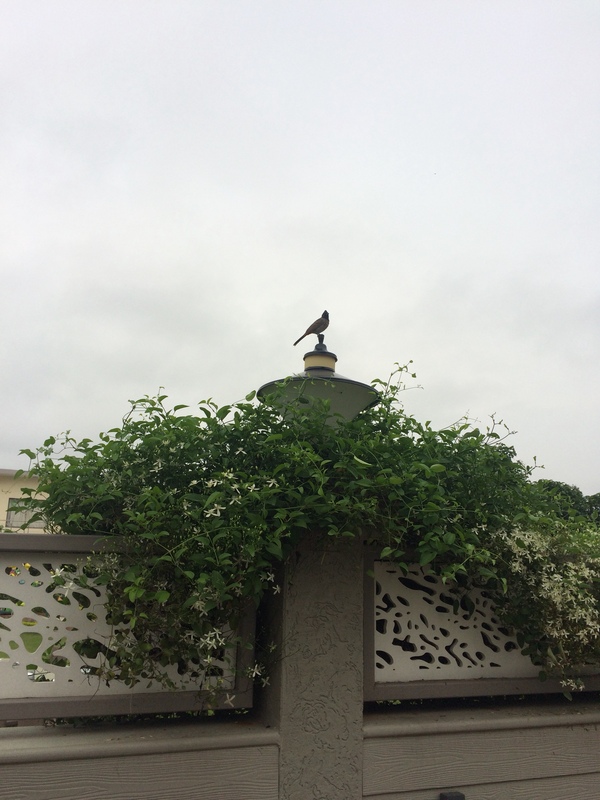 Some photographs from the walk around the hotel premises. 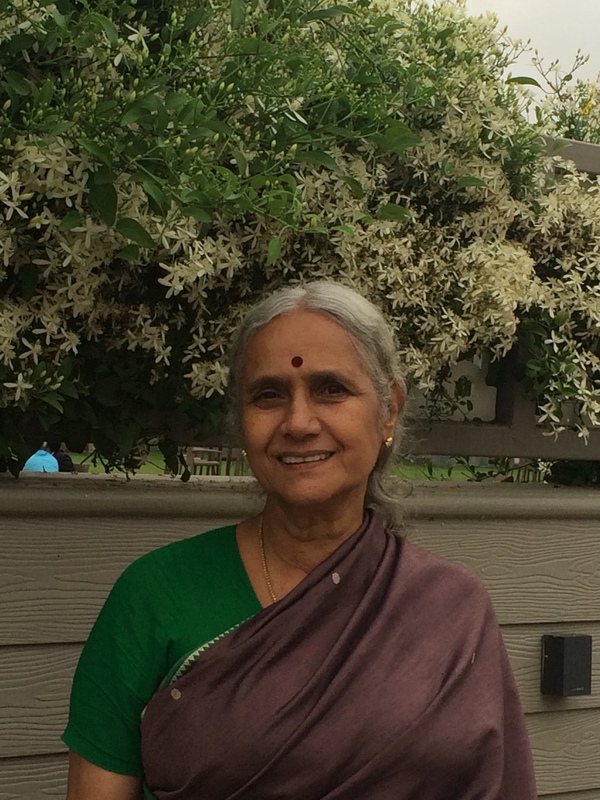 My beautiful mother .. amidst the flowers she loves. We didn’t let her pluck any of the flowers :):) and told her that there are CCTVs everywhere. The selfie that turned out really good especially as it caught Krishnan smiling :). He laughs and smiles all the time but never for a photograph. 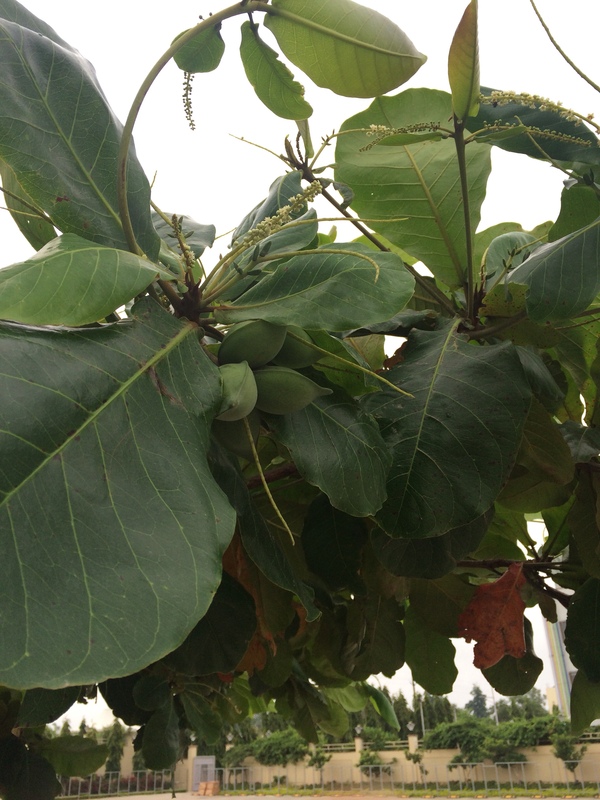 The Badam (almond) tree at the hotel. 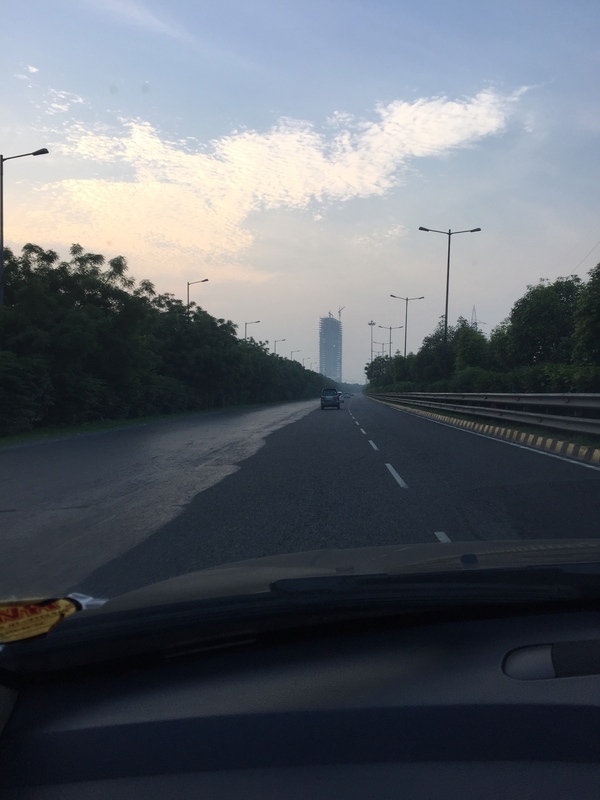 Postcards from Sagar to Hyderabad … Cows and Rains!